Put the flour in a large bowl, then rub in the cold butter, using your fingertips, until the mixture resembles fine breadcrumbs. Stir in the caster sugar, then the egg, then gradually add enough ice-cold water, a drop at a time, to bind everything to a smooth dough. Cover with cling film and chill for about 1 hour to relax the dough. Preheat the oven to 180°C/350°F/Gas 4 and lightly grease a 12-holecupcake tin. 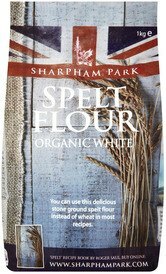 Turn the dough out onto a lightly floured work surface and roll out to 5mm/¼in thick. Cut out shapes with an 8cm/3¼in cutter and use to line the holes of the pan. Spoon in the mince pie filling. 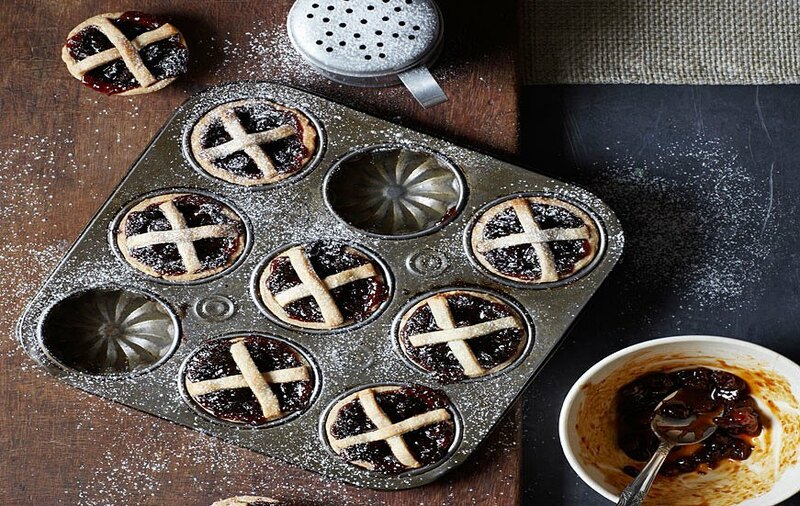 Cut little strips of leftover dough and criss-cross them on top of the mince filling, moistening the edges to stick them to the pastry bases. Bake the pies for 10-15 minutes until the pastry is sandy to the touch and golden in colour. Transfer to a wire rack to cool, then dust with icing sugar to serve.